Zensui Nomura Foods Co., Ltd.
Nomura Trading (Shanghai) Co., Ltd.
* When a cursor is placed over a point on the map, details in each base are indicated. 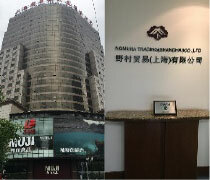 Room A3, 17F, Kaohsiung Commercial Building, No.502 Jiouru 1st Rd., Sanmin Dist., Kaohsiung City 807,Taiwan R.O.C. Zibo Sanxing Banshang Towel Co., Ltd.
Nomura Trading and history with China is old, and we received designation of a friendly trading company in 1961 and began a full scale friendship trade, we have been trading from early times such as participating in Canton Export Commodities Fair every year since 1962. Main handling items range over a variety of Industrial machine relation (injection molding machine and its associated parts, attached equipment of machine tool, etc. ), electronic products (electronic materials), chemical products (natural-rubber substitute and chemicals), apparel products (fiber materials, such as apparel products, uniform, and cloth accessories, tire cord, filter cloth, etc. ), and food (import and domestic beef, processed goods). We cover the vast East China and South China area which are the center of industry and also a consumer place (the South China area cooperates with Shenzhen) and the existing enterprise and new business are tackled in each field. Main handling items are materials of agricultural, fishery, livestock, processed food and pet food products, the textiles centering on bed and bedding, apparel products, fabrics and aluminum items, including major production based in Shandong has been a big base for a long time as traditional merchandise. Moreover, cultivation of domestic market and outside the country is challenged in various fields, such as machine, fiber, and food. Main handling items are varied as apparel products centering on uniform, raw materials, processed foods centering on marine products and flooring materials, attached equipment of a machine tool. New business is challenged every day in the background of the production base and market which were built from the business connections over many years. Main handling items are foods (livestock meat, marine products, etc.). Still young branch, only 3 years old after its establishment. Chengdu which gained “1st place in the city world ranking which will grow most for ten-years from now on” according to U.S. Forbes in 2011. The urban-areas population 10 million was exceeded and the business creation by not only the food of the existing handling field but the industry life and the related quotient material of our company which can carry out an area contribution is challenged taking advantage of a geographical advantage called the hub of the China southwest area, and the gateway to Southeast Asia. 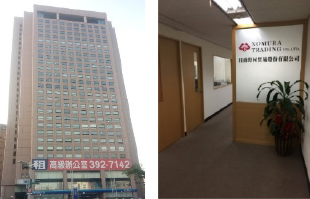 Shezhen Branch Office is a new base which started as a liaison office in 2016 and then changed to a branch office in February 2018. It has been seeking for new businesses focusing on Pearl River Delta (Guangzhou/Hong Kong/Shezhen/Dongguan/Macau/Zhuhai etc.) where the industries such as electronic products/chemical products/automobiles are accumulated. Bangkok Representative Office was reorganized to Branch Office. 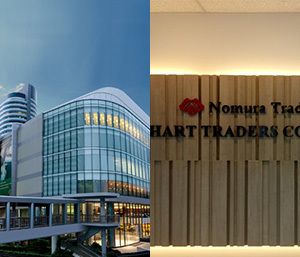 Bangkok Branch Office was reorganized to Nomura Trading (Thailand) Co.,Ltd. (abbreviated name: Thailand Nomura). 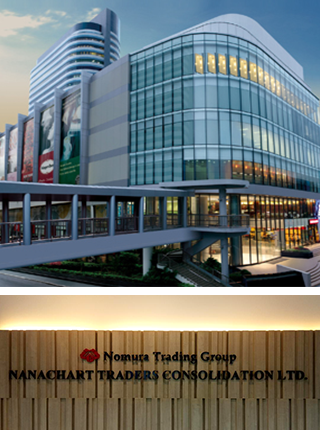 Nanachart Traders Consolidation Ltd. (abbreviated name: NANA) was jointly established by Thailand Nomura and local capital. The advance to Thailand of our company was in 1953 (Showa 28). It considers having established the Representative Office as the beginning. Through the reorganization to Branch Office, in May 1960, an overseas affiliated company Nomura Trading (Thailand) Co.,Ltd. was established. Then, in connection with the official announcement of the foreign operation regulation law in 1972, Nanachart Traders Consolidation Ltd. was established by joint management in November for the purpose of arbitrage deal in 1974. The 1960s after an overseas affiliated company establishment was the first stage investment boom from Japan to Thailand, and our company also established many joint corporations in fiber, metal, and fishery fields. 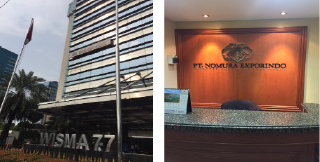 The business base in Nomura’s Thailand was built at this time. Dealing products range widely such as machinery, chemicals, food, fiber and miscellaneous things. Since refueling machine business boasts a high market share in Myanmar as growth markets as well as Japan, we are promoting as a core business of ours shop. While taking pride in the history and tradition which predecessors built as well as in the Nomura Trading group, we will play a leading part in the growth of medium and long-term contribution to society. Representatives were stationed in Indonesia. Opened Representative Office in Jakarta. Opened Representative Office in Medan. PT Progress Indonesia was established by joint management (abbreviated name :PIN). 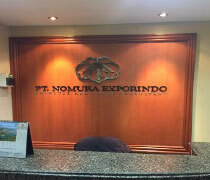 The company name PIN was changed to PT Nomura Exporindo (abbreviated name :PTN). Tokushichi Nomura, founder of Nomura group, founded Nomura South Sea Enterprise Division in the Nomura shoten which was the former Nomura conglomerate origin, and it dates back to it purchased the plantation farm in Borneo in July of the same year in 1917. Then, although it came to be called Nomura farm, in addition to rubber, oil coconut and coffee plantation were purchased, and Nomura’s South Pacific enterprise grew up to be even the maximum scale by the investment business for the Dutch India of Japan of those days. Although it was taken out of the market after the second world war, the Jakarta Representative Office was established in 1954 after dissolution of the conglomerate, and re-advance was achieved. PIN was established by joint management in 1989, and it became a single company after that, and the company’s name was changed to PT Nomura Exporindo in 1996 and has come at present. he base was located in Indonesia’s capital, Jakarta, and items were widely handled from agricultural products, sewing atricles, chemical raw materials, medical-supply materials, and machines as ejection molding machines and tractors to electric appliances such as business use OVEN. Opened Ho Chi Minh Representative Office. 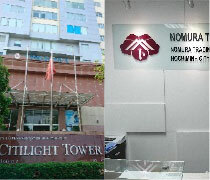 Overseas affiliated company Nomura Trading Vietnam LLC (abbreviated name : NTCV) was established in Ho Chi Minh. The advance to Vietnam of our company goes back to 1947 after World War II. It was a staff of five Japanese representatives and six local staffs in the Saigon office of those days formally in 1958. Then, although during the Vietnam War (1960 – 1975) period continued the activity and closed the office with the Saigon surrender in 1975, re-advance was achieved in Ho Chi Minh City and Hanoi in 1990. Receiving the flow of the deregulation of a trading company, to strengthen the business in Vietnam in September, 2015, an overseas affiliated company of Nomura Trading Vietnam LLC was established in Ho Chi Minh City and has come at present. In addition to operating promotion with the Nomura head offices, the main handling items are such as medical products, sewing products, foods, and machine products, we will aim at opportunity of expanding of domestic sales of sewing products, foods, and machines as a corporation. We realize as the composition of population is young and growth of the middle class is remarkable in this country, and the business opportuity is developing. Investment permission was acquired as three-company joint management with two companies of Japanese origins, and one Vietnam company. Head Office uniform factory operation started. The first shirt (dress shirt) factory operation started. The second shirt (dress shirt) factory operation started. The first shirt factory moved to the Hai Thanh industrial park. 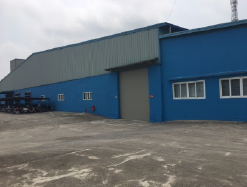 The second shirt factory moved to the Hai Thanh industrial park. 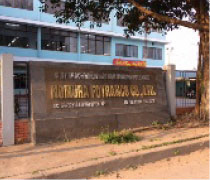 Nomura Fotranco – as a uniform product of Japan-Vietnam joint production plant, investment permission was acquired in Vietnam Haiphong in December, 1995, and operation was started in March, 1997. After that from a joint venture of the Japanese side, the stock was transferred in November 2003, and it became Nomura Trading owned enterprise through the stock transfer of a Vietnam company in December 2013 and has continued up to now. Although it was specialized in uniform production at the beginning of establishment, the dress shirt factory was started in 2005, and starting of school shirt factory in March 2007, at present it is the prime production plant of apparel operation division of product and sale of the Nomura Trading as a sewing factory of 2 business-unit system of a uniform enterprise and a dress school shirt enterprise. 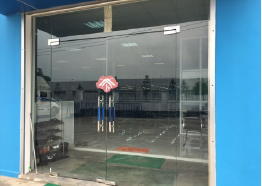 Furthermore, direct transaction has started since five years before, and mainly uniform sale of the Japanese quality for the Vietnam-Japanese companies was put emphasis and is increasing the sales amount under the popularity of good value from customers. As a uniform shirt special production factory of a few trading company direct management, more than 3 million products per year are produced and supplied. Moreover, high evaluation is received in the quality of a Japanese standard, and service from customers. 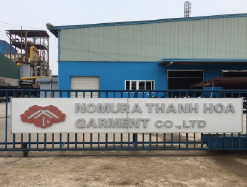 Nomura Thanh Hoa factory acquired investment permission from the said investment development office in February, 2007, and started temporary operation in May of the same year. Full-scale production in the current building started in May 2008, and has continued to the present. China plus one was called out for as a sewing base within the industry at the time and it was the establishment for the further acceleration. Production item is 100% uniform, and we are focusing especially on a working uniform. Aiming at business expansion, the improvement in service to customers is put emphasis on as a specialized factory of working uniforms, we will still strive for further higher improvement in quality and productivity continuously from now on. Singapore Representative Office was reorganized to a Branch Office (abbreviated name: SE). Opened Kuala Lumpur Representative Office. 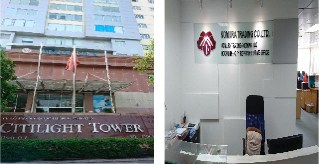 Kuala Lumpur Representative Office was reorganized to a Branch Office. Closed Kuala Lumpur Branchi Office. Advance to Singapore and Malaysia goes back to the Singapore Nomura shoten founded in October 1924. Although products of Nomura rubber plantation were exported through the British Guthrie company in those days, Nomura rubber was established to deal with direct trading after that. In 1936 a Rubber refining factory was purchased and dealings were expanded. During the wartime period, lumber enterprise and the shipbuilding enterprise were dealt and left the big footprint in Southeast Asia. In collaboration with a Japanese cement company, we invested in the Cement grinding plant for the first time as a Japanese company in November, 1977. 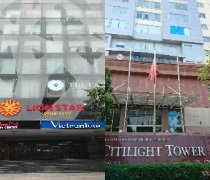 After closing the Kuala Lumpur Branch Office in 2004, two nations of Singapore and Malaysia are put on the activity area. 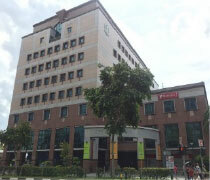 The office was relocated from the center of town to the eastern Tampines area in 2012, and it has continued up to now. This branch office is located in Changi Airport near eastern Singapore and Tampines area where the further development will be expected from now on. Wide trade materials are dealt with from cement clinker of an industrial system category, resin, and flexible container bag raw materials to the processed product (chocolate materials) and Kansui powder of food system category. Aggressive business operation is being developed every day for creation of dealings of import and export and dealings between the foreign countries while making Singapore and Malaysia as a basic activity area. 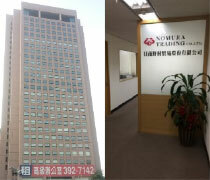 Hamberg Representative Office was reorganized to an overseas affiliated company Deutche Nomura Trading G.M.BH (abbreviated name: Deutche Nomura). Opened Deutche Nomura Dusseldorf Branch Office. Closed Deutche Nomura Dusseldorf Branch Office. Deutche Nomura was liquidated and it was made as Hamberg Representative Office. Hamberg Representative Office was reorganized to a Branch Office. 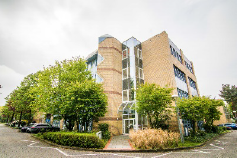 It moved to Frankfurt, it was made as Frankfurt Branch Office (abbreviated name: FRA). 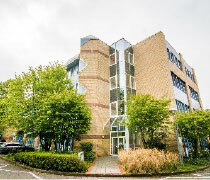 Frankfurt Branch Office, opened a Representative Office in Hamburg in 1960, in the port city in Germany as beginning, but was reorganized to a Hamberg Branch Office in 1987. Then, it transferred to high convenience of Frankfurt as the center of the key point in finance and traffic in Europe 2002 for the purpose of the business expansion as the background of the Europe integration and euro currency introduction of the second half of the 1990s, and it was changed to the Frankfurt branch. It covers Iceland from the north to Turkey to the south as Nomura Trading’s only one European base. Main handling items are various with machine tools, marine products such as mackerel, horse mackerel, and agricultural products centering on dairy products, livestock meat, synthetic rubber, raw material of medical supplies, medical-supplies materials, and general life consumption materials. Sale of Japan-made machine tools started especially in the 1980s is proud of a total of 4000 or more sets of sales performance as a general European agent. Overseas affiliated company Nomura (America) Corp (abbreviated name: NAC) was established in the U.S., and the Head Office was established in New York, and a branch was founded in Los Angeles and Houston. Seattle Representative Office was reorganized to NAC/Seattle Branch. 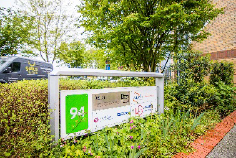 NAC/ Los Angeles Branch Office was integrated into NAC/ Seattle Branch Office. 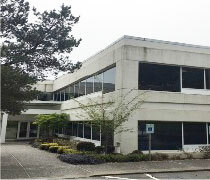 Opened Seattle Branch (abbreviated name: NSTL). NAC was liquidated and New York Head Office and Seattle Branch were closed. The predecessor of the U.S. base of our company goes back to having established the representative Office in New York in 1952. After that through Representative Office establishment in Los Angeles and Houston, in 1960, overseas affiliated Nomura (America) Corp. (NAC) was established and reorganized. In 2002, different from NAC, Seattle Branch was established, the management of commercial rights was transferred after NAC with liquidation and after that it has resulted in today’s figure which covers North America at large. Nomura Trading covers USA and Canada as the only North America base. Main handling items are livestock products such as beef and pork, marine products, such as salmon, herring roe, electronic device materials such as flexible substrate materials. 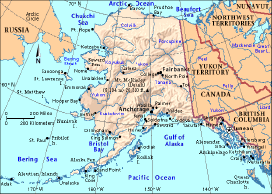 From Alaska, the large area for the maximum time difference of 5 hours and a half covering the Midwest and the Canadian east shore is made into an activity range, and we are striving for that area on business. Salmon, salmon roe and sujiko （ovaries of the salmon）are one part of the handling items of Seattle Branch Office, which is the fight of great nature of Alaska Branch Office. Fishing and production depends on the weather as a matter of course, a plane does not fly because of fog and moving by Cessna aircraft which has to take off and land without a runway,…. Nomura person with spirit mind playing an active part in such a place. At the Seattle branch, we participated in Seattle-sponsored Homeless feeding (distribution of cooked rice to the homeless) as a volunteer in January, 2017. In the form joined to the volunteer of a certain church, the employee’s family also participated and about 200 homeless were served. Taipei Representative Office was reorganized to Taipei Branch (abbreviated name : TPE), and Kaohsiung Representative Office was to Kaohsiung liaison office. Closed Taipei Branch, Kaohsiung liaison office. Reopened Taipei Branch, Kaohsiung liaison office. Two bases in Taipei and Kaohsiung were made into concentration and the Taiwan branch (abbreviated name: TWN) in Kaohsiung. History of Taiwan branch office dates back to the establishment of Taipei Representative Office (1987). An office was established in Kaohsiung when expanding the steel business in Kaohsiung in 1988 next year. Then, through the change of the basic enterprise of a branch, two bases were integrated as part of a diversification at the end of 2016, and it has been newly integrated to Kaohsiung as Taiwan branch since January 2017 and continues up to now. Taiwan branch is in a harbor city in southern Taiwan, Kaohsiung. Material for electronic components, components of an office furniture, machine tool element components and tools, agriculture, forestry and fishery products, industrial system materials, etc. are mainly dealt with at present. We put emphasis on “trust” with suppliers and customers so that we may aim at mediation of each enterprise to the world. Relations with the parties in a business concerned will be strengthened and cultivated, and we will strive for positive expansion of business from now on. Opened Hanoi Representative (abbr. 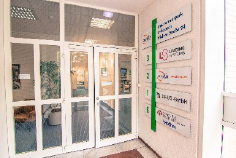 HNI) Office. Our company’s expanding to Vietnam dates back to 1947 after the Second World War. Officially, it was a staff of five Japanese representatives and six local staffs in the Saigon office of those days formally in 1958. Then, although during the Vietnam War (1960 – 1975) period continued active and closed the office with the Saigon surrender in 1975, re-advance was achieved in Ho Chi Minh City and Hanoi in 1990. 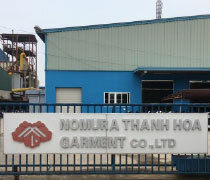 As Vietnamese hubs of the Nomura Head Office, our representative offices in Hanoi and Ho Chi Minh gather information in fields such as textiles, pharmaceuticals, and machinery within the scope authorized for representative offices, communicate with investment partners, and conduct surveys in surrounding areas.